SOCHI, May 3. /TASS/. 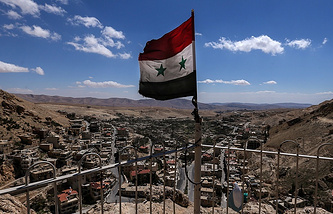 Russia will continue cooperation with Jordan and the US to support the operation of a de-escalation zone in southern Syria, Russian Foreign Minister Sergey Lavrov said at a news conference after negotiations with Jordanian Foreign Minister Ayman al Safadi on Thursday. "We are cooperating within the Astana process, in which Jordan participates as an observer and, of course, we are cooperating to sustain the de-escalation zone regime in southwestern Syria near the border with Jordan," Lavrov noted. "Today, we agreed to continue cooperation on this important issue both bilaterally and trilaterally, involving Americans and the monitoring center." In July 2017, Russia, Jordan and the US agreed to establish a de-escalation zone in southwestern Syria, which included three southernmost Syrian provinces: Daraa, Quneitra and As-Suwayda. The situation escalated there in recent months. The Russian Foreign Ministry noted reported attempts by the Syrian opposition and the Jabhat al-Nusra and Islamic State terror organizations, which are outlawed in Russia, to establish autonomy in southern Syria with support from the US, which may lead to a breakup of the country.